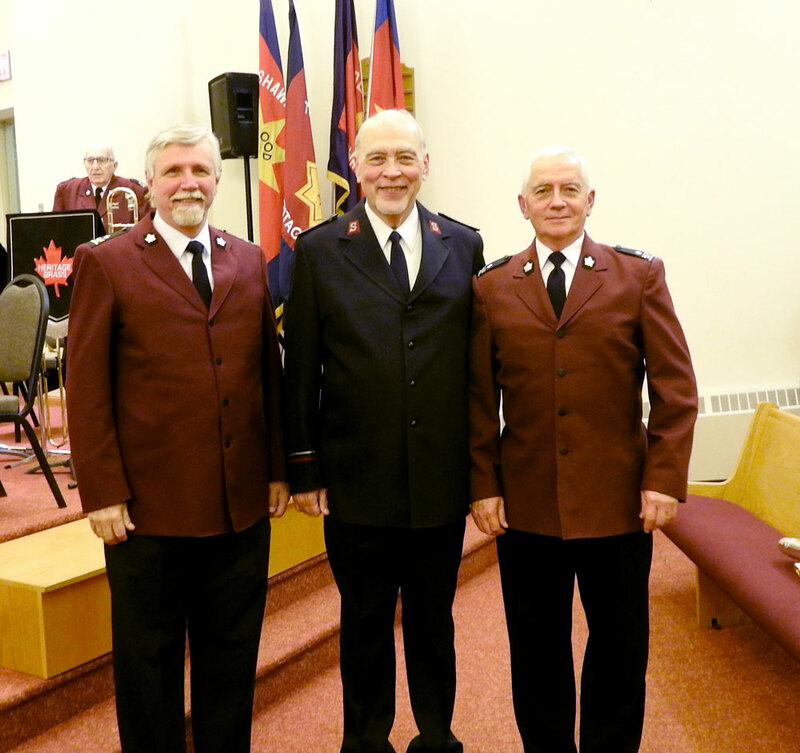 On 27 October 2018, the Heritage Brass (Bandmaster Gary Dean), formerly the Metro Toronto Reservist Band and later the Ontario Central Reservist Band, celebrated its 30th Anniversary with a concert at Oshawa Temple, joined by the O’Neill Chamber Choir (Leader Erin Collins) from the O’Neill Collegiate and Vocational Institute in Oshawa. The special guest for the evening was composer, conductor, and euphonium soloist William Himes. Heritage Brass opened the concert with Fanfare and Allegro on the Doxology (Steve Kellner). The next three items, featuring the band, William Himes, and the choir, set up the program showing the large congregation that they were in for a very enjoyable program with an extremely high standard of musicianship. The choir especially thrilled everyone with their wide spectrum of music and styles, from the contemporary to the traditional, always unaccompanied. One item, entitled Mosquitos, was most unusual with just one word – “Buzzzzzzzzz”. William Himes is well-known and respected around the world. He conducted and performed his music and also brought a brief devotional thought. What made he participation so interesting was the stories behind the music, spanning his early days as a composer to some of his later works. His major work played by Heritage Brass was Pathway of Hope, which takes the listener on a three-part journey, describing a person caught in the trap of Satan’s hands with no sense of escape, finally finding faith and hope with Satan’s kingdom falling. It was a truly special evening for Heritage Brass with some excellent playing. Dotted around the congregation were former members, which added to what the evening was all about – the celebration of a group of longtime Salvationist musicians who in their long years are still making music to glorify God and provide a blessing to others. This article was posted in News and tagged anniversary, concert, Erin Collins, Gary Dean, Heritage Brass, O'Neill Chamber Choir, William Himes on 11 November 2018 .